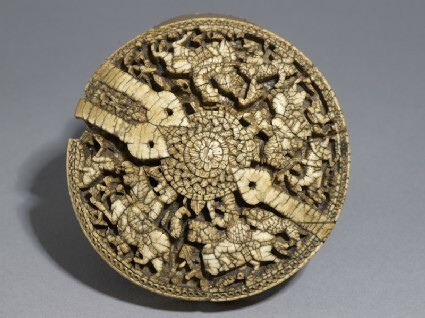 The art of ivory carving in Spain was at its height when this lid was made at the end of the 10th century. It was once part of a cylindrical box made of ivory and fitted with silver hinges. 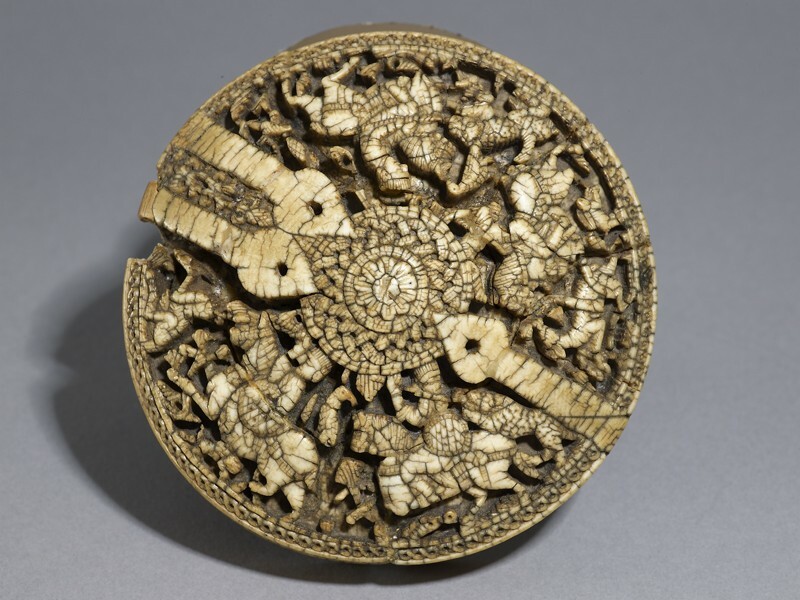 The box and lid were carefully carved out of an elephant tusk, most likely imported from East Africa. The carved decoration depicts a lively hunting scene with four huntsmen on horseback in the dramatic act of spearing their prey: deer and leopards. The inscription carved around its base mentions the year in which the piece was made (389 in the Islamic calendar, corresponding to 998-999 AD), as well as the name of its patron Abu’l-Mutarrif, son of the grand vizier to the Umayyad Caliph of Spain Hisham II (r. 976-1009 AD). This type of cylindrical container would probably have held perfumes and other precious substances used at the royal court, such as ambergris, camphor, and musk. Purchased with the assistance of the MLA/V&A Purchase Grant Fund, the Art Fund, and the Friends of the Ashmolean Museum, 1987.